Andrew Mudibo's team has made a clean sweep of all the branches in the Kenya Table Tennis Association Branch elections held at various branches on Saturday. The Elections were conducted by National Olympic Committee of Kenya and Kenya National Sports Council through a Court Consent order of 22nd November 2013, whereby the Jane Pinto group and Francis Gichomo's group agreed to elections being held on the 25th of January for Branches and the National elections to take place on 8th of February 2014. Mudibo, who is the outgoing Secretary General, will be running for the chairmanship of the association with high hopes of replacing Jane Pinto who is not seek reelection. In Nairobi, Mudibo's team comprising Benedict Otieno Odhiambo (chairman), Rahul Shah (Vice Chairman), Shihaji Shihale (secretary), John Ray (Asst. Secretary), Ajash Shah (Treasure), Ruben Kilaki (Asst. Treasurer), Sameul Maina (Fixtures Secretary), Peter Kamau (Asst. Fixtures), Sejal Thakkar, Marsa Bare and Bisharo Dan (Committee Members) were elected to take over the mandate of running the sport in the branch. Odhiambo took over the chairmanship of Nairobi branch after defeating Stanley Moyi from the rival group, who opted to withdraw from the race. In Coast, Mariga Mwangi and his team were elected unopposed at the Aga Khan Sports Club in Mombasa. Others who were elected unopposed are Poojan Kanaabar (Vice Chair), Tom Amumi (Secretary), Jared Ogutu, Eutropia Mwashuma, Martin Mbugua, Sylvester Mwangeti, Murtaza Moahmed, Kitheka Gathimu and Simon Mbogo. In Nyanza, Jacob Oloo carried the day for Mudibo and yet again his team was elected unopposed. In his team are George Ochieng, Justus Gwela, Ruth Mbithe, derrick Inyanje, Calvins Seda, Collins Owinga, Cedrick Inyanje, Ayub Ooyi and Brian Ochieng. In Central, Joshua Kiragu and his team were elected unopposed with Gideon Kibunja being elected the Vice Chairman of the Branch. Others elected are, Titus Gathi, Kennedy Kamwara, Tito Ndungu, Joseph Ongaro, Bila Gichangi, Simon Kamau, and Francis Nganga. In Rift Valley, it was the same case when the whole Branch was elected unopposed with Justus Gichuki being elected unopposed as the Chairman, Titus Kioo was elected his vice, with others being George Kinyanjui, Moses Kamau, George Keringe, Solomon Kinyanjui, Loti Otieno, Anthony Mutiso, Vivian Muthoni, Sally Moggaka and Rose Atieno. Stage is now set for the National Elections on the 8th of February and Andrew Mudibo's led team is highly tipped to make a clean sweep of all the positions in the Executive, without much opposition following the weekend results of the Branch elections. 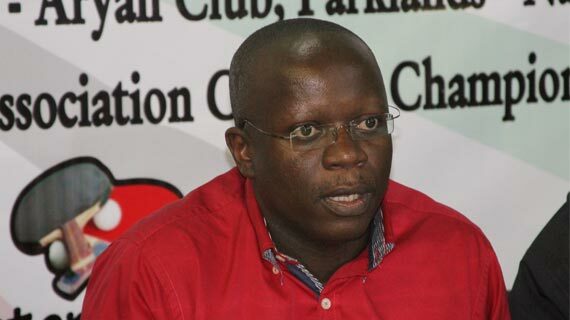 Speaking after the Nairobi Elections, outgoing Secretary General, Andrew Mudibo said that he was happy the elections had been held as a united front and now all the branches can start to concentrate on the development of the sport.